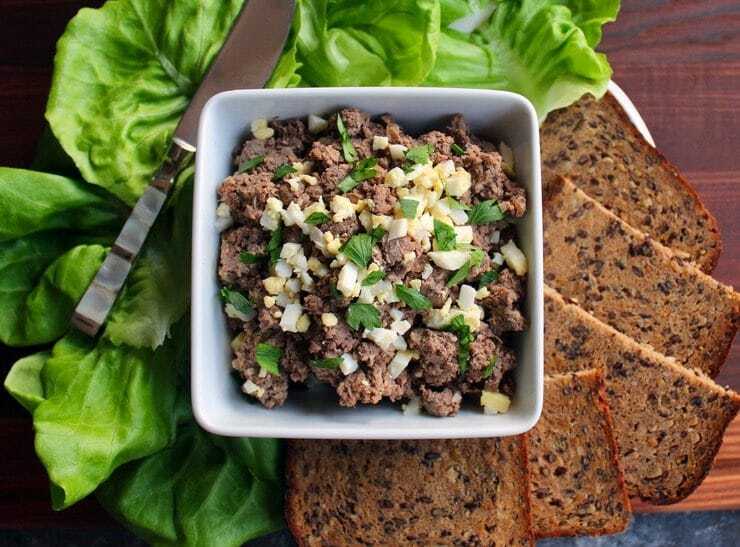 Rich, savory chopped liver is a traditional Jewish dish that brings back fond food memories for many families. My recipe for chopped chicken livers is made the old-fashioned way with lots of love and lots of schmaltz. It’s the perfect deli-style treat for Passover, Rosh Hashanah, or just because. The history of chopped liver goes back to Medieval Germany, where Ashkenazi Jews bred and raised geese as the poultry of choice. The first Jewish chopped liver recipes were actually made from goose liver. Eventually Eastern European Jews began using chicken and beef livers; these recipes came across the ocean with immigrants to Ellis Island in the late 1800′s. Delis on the East Coast of the U.S. have a heritage that is closely tied to those early Eastern European Jewish immigrants. To this day, you can still order chopped liver in any New York Jewish deli (any deli worth visiting, that is!). 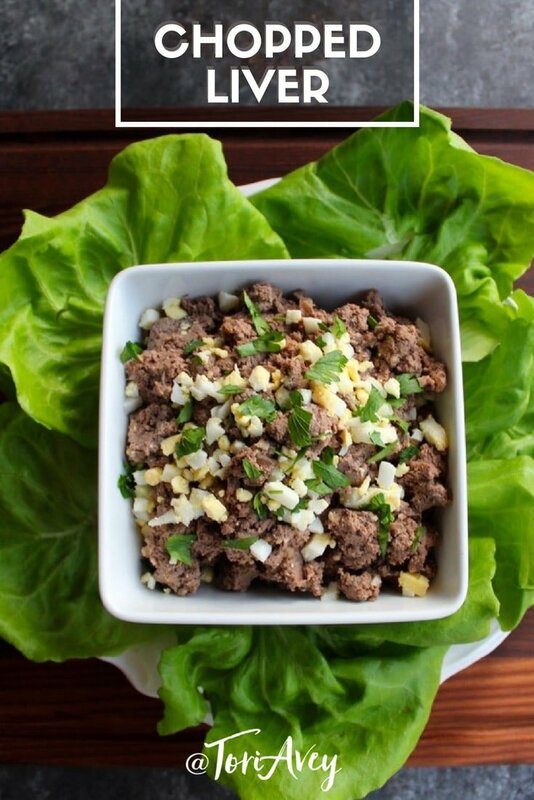 Today, chopped liver is often served as an appetizer for Jewish holiday gatherings. I first learned to make it during Passover about a decade ago. Since that time, I have adopted lots of “tricks of the trade” from various families who have shared their recipes with me. My chopped liver recipe uses schmaltz and gribenes in the mix. Schmaltz, aka rendered chicken fat, is the most traditional oil for chopped liver. You can use another cooking oil if you prefer, but in my (humble) opinion schmaltz is the only way to go. 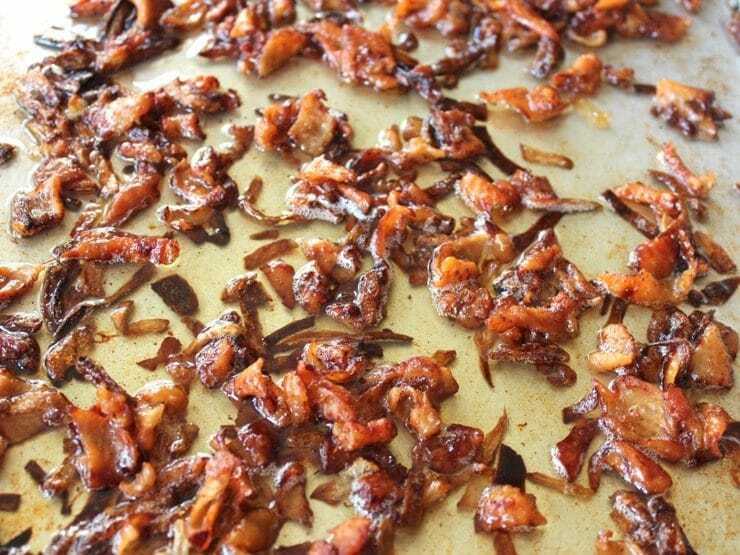 Gribenes are the crispy cracklings created when you render schmaltz. They’re often referred to as “Jewish bacon.” I add gribenes to my chopped liver for extra flavor, a tip I picked up from a family friend. Gribenes are optional. The schmaltz, however, is a must if you want a truly authentic flavor. I’m not gonna lie—this recipe is full of fat and cholesterol. You might want to have your cardiologist on speed dial before enjoying. 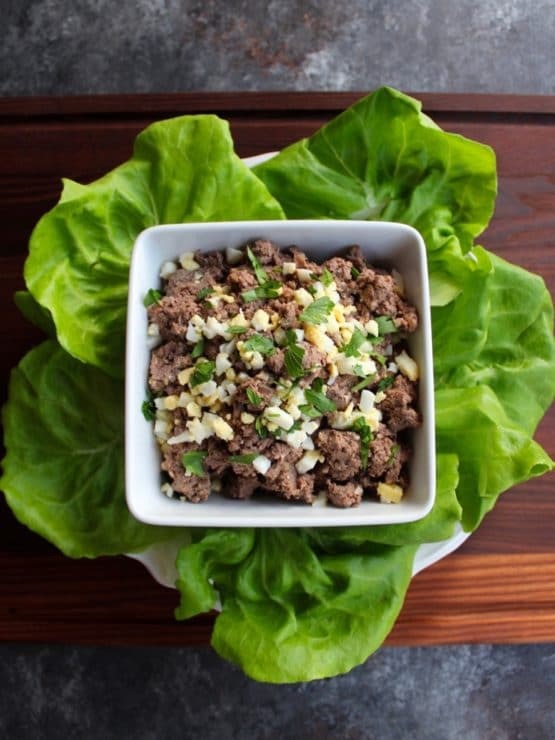 Seriously, though– chopped liver actually contains some vital nutrients including iron, Vitamins A and B12, Folate, and others. Also, there is a changing view of dietary cholesterol in the scientific community. It is now becoming more clear that cholesterol in food has little affect on the cholesterol level in our bodies. Bottom line – whenever I make chopped liver, I do it with schmaltz, and I make no apologies. Some Jewish dishes are meant to be enjoyed the old fashioned way, if sparingly. Everything in moderation, including moderation! 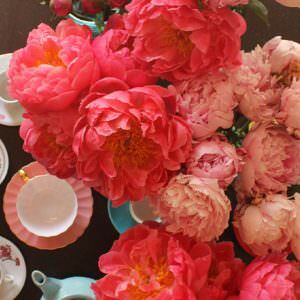 Note: For those who have been using this recipe for years (I know there are quite a few of you! ), if you’re wondering why things look different, it’s because I have recently updated the post with new pictures and clearer step-by-step photos. 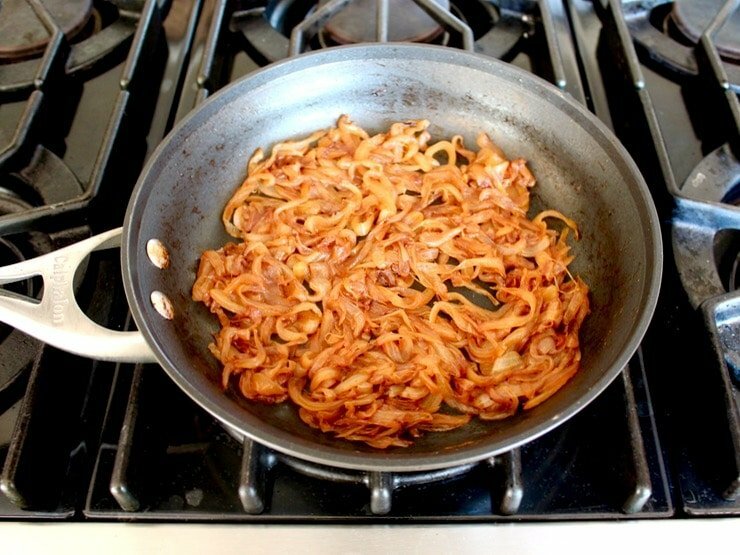 I have also refined the technique a bit by adding a second sliced onion, and taking the time to ensure that both of the onions are fully caramelized – a long process, but worth it for the end result. You can use even more onions if you prefer a sweeter flavor. 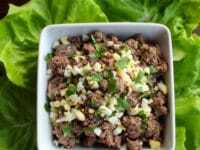 Chopped Liver - traditional recipe for chopped chicken livers with schmaltz and gribenes. Deli-style Jewish holiday recipe for Passover, Rosh Hashanah, or just because. You will also need: large cast iron or nonstick skillet with lid large enough to cover, kitchen shears, chef's knife, food grinder or food processor. 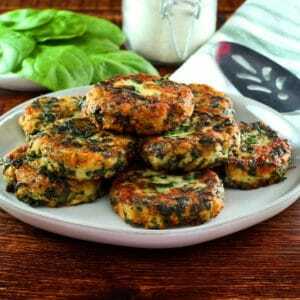 Makes 3 1/2 cups chopped liver, serving size 1/4 cup. Calories calculated using 1 tsp salt and 1/2 tsp pepper. Learn to make schmaltz and gribenes here. Prepare schmaltz and gribenes ahead of time, or purchase schmaltz from your local kosher market. Goose fat or duck fat can be used in place of schmaltz if desired. Prepare the livers by cutting off any tough pieces or stringy tendons. 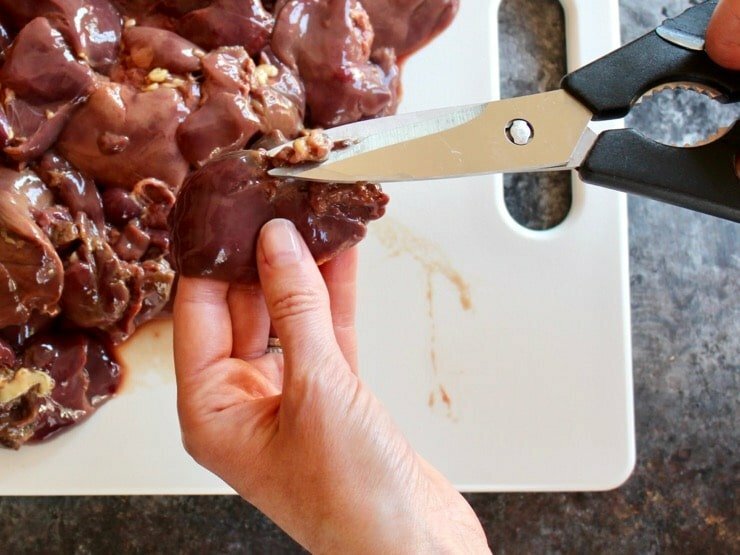 You should also cut away any pieces of liver that look discolored, yellow or strange. 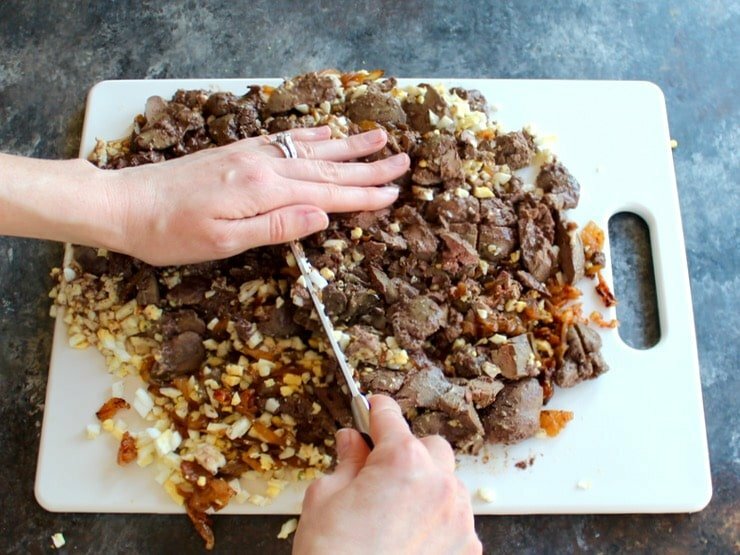 This is pretty much the worst prep job ever, as uncooked liver has a soft and slimy texture, so make sure this step is done by someone with a strong stomach. Add 2 tbsp schmaltz or oil into a large cast iron or nonstick skillet and melt over medium heat. Put half of the chicken livers into the skillet and fry them for 3 minutes on each side (about 6 minutes total). Season the livers generously with salt and pepper as they are cooking. 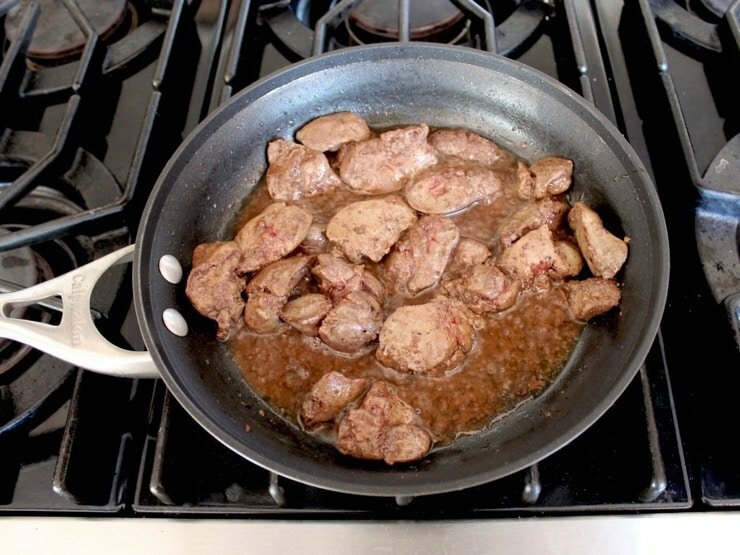 *Note: If you plan to kosher your chicken livers by broiling them prior to making chopped liver, you will only need to sauté them in the skillet for about 1 minute on each side. Koshering the livers cooks them, so there is no need to sauté them for a long period of time. Be careful not to overcook or burn the livers, or they will become dry. 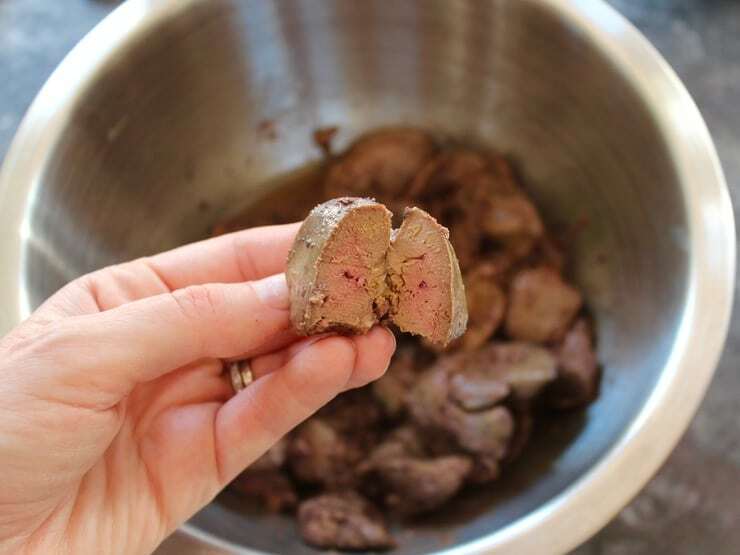 After cooking, livers should be firm and browned on the outside while slightly pink on the inside. They will continue to cook internally after you remove them from the skillet; don’t overcook them, or they will turn dry. When the livers are brown and firm, pour them into a medium-size mixing bowl along with the leftover schmaltz/oil from the pan. Add another 2 tbsp of schmaltz/oil to the skillet, melt it, and fry the remaining livers repeating the same process as above. Add the livers and leftover schmaltz/oil from the pan to the mixing bowl. The skillet should now be seasoned with schmaltz or oil, so you don't need to grease the pan again. Add the onion slices to the skillet. 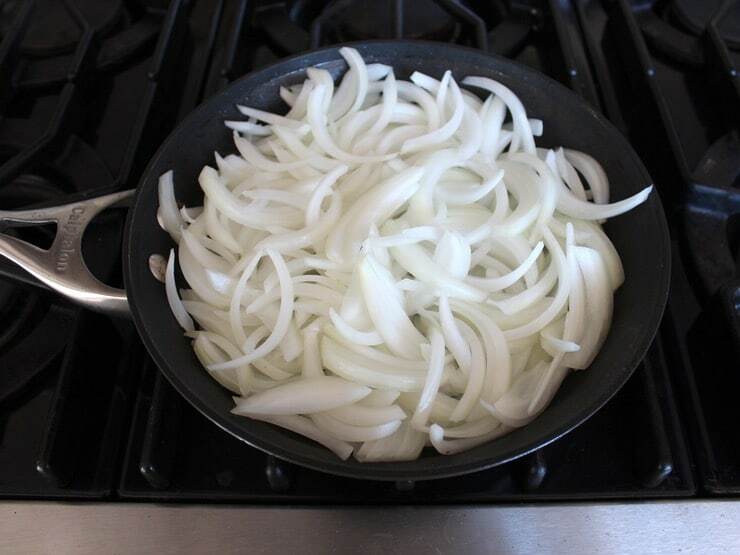 Cover the skillet and let the onion cook undisturbed over medium heat for 10 minutes. This kick-starts the caramelization process. Uncover the skillet, stir the onions, and continue to sauté them for another 30-40 minutes, adjusting heat as needed to keep the onions from burning. Ideally the onions should be deeply caramelized, tender and sweet - this is what gives Jewish chopped liver its trademark savory-sweetness. Don't try to speed up the caramelization process, it takes time-- and that's ok. Good things are worth waiting for. When the onions have reduced to about 1/3 of their original size and are soft, sweet, and golden, they're ready. 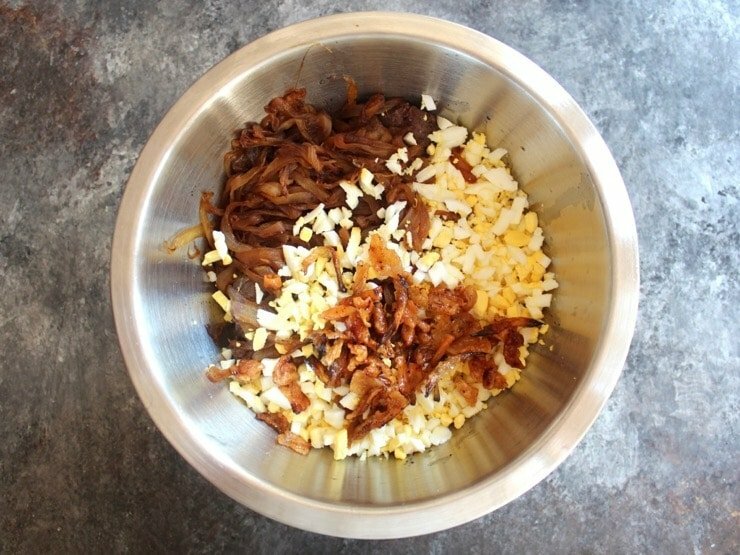 Add the cooked onions to the mixing bowl along with 4 of the diced hard boiled eggs and the ½ cup of gribenes (optional). Season all ingredients generously with salt and pepper. Now it's time to chop all of the ingredients together into a blended mix. There are various schools of thought on the "right" way to chop liver. The old fashioned way is to chop it by hand with a knife, mincing and mincing until it resembles a rough pâté. 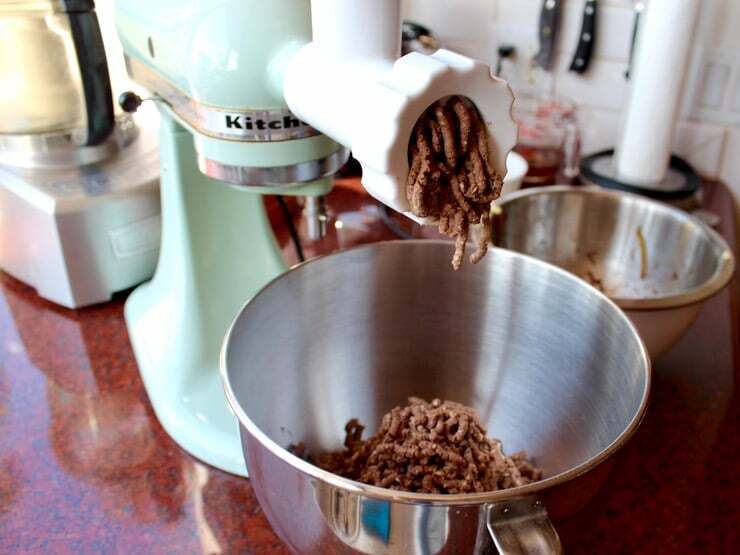 Another popular method is using a meat grinder. I use a meat grinding attachment on my Kitchen Aid mixer on the fine hole setting. Works like a charm. If you want to take a more modern approach, fit your food processor with a metal blade. Place all ingredients into the processor and pulse for about 30 seconds, stirring once halfway through processing, until a roughly textured paste forms. 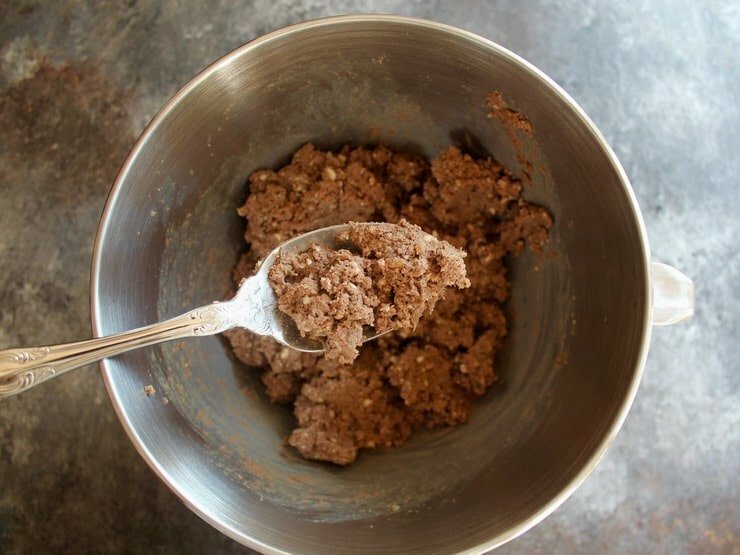 Whatever method you choose, it's important to taste the chopped liver once it is ground. Add salt or pepper to taste, if desired. Be a bit generous with the seasoning, as the liver is best served chilled and the seasoning won't taste as strong after chilling. 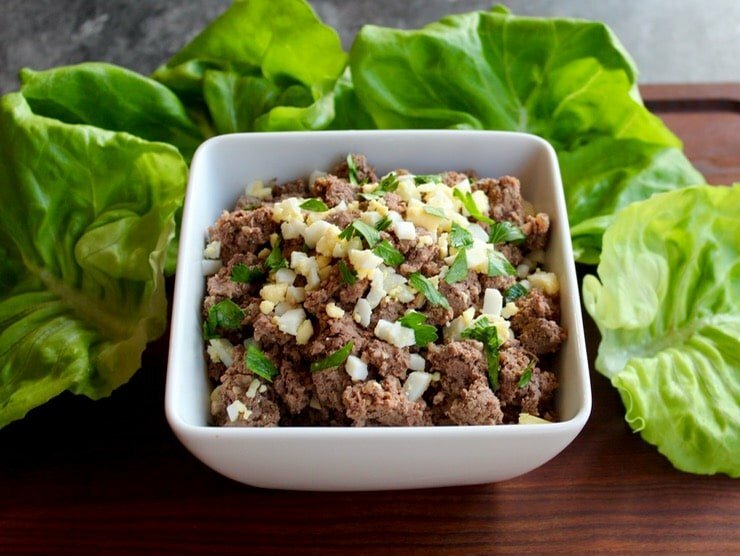 Chill the chopped liver in the refrigerator until ready to serve. Garnish with remaining diced hardboiled egg and minced parsley. Serve as an appetizer with crackers, matzo, on rye, or gluten free crackers. Store in a tightly covered container in the refrigerator for 6-7 days. Chopped liver can also be frozen and served at a later date. I dug around on the internet for an authentic recipe. Not knowing what an authentic recipe for chopped chicken livers was, I picked yours because it looked like it was authentic. This dish was for a New Years party I was going to. It turned out so delicious, I decided to stay home and eat it myself. Ha! That sounds like success. Happy new year! I just made some of this for my Dad for Christmas. Tastes AMAZING!! I made this recipe last year and loved it! My Jewish boyfriend did as well! I see that you have made some updates. While I am sure the updated recipe is delicious, I was wondering if there would be anyway to get the old recipe emailed. I followed it exactly but never printed it. Tori, help please. 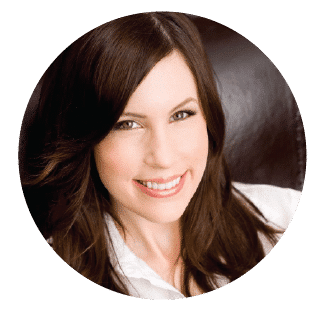 Hi Shannon, here are the only real differences from the previous version – the old recipe used 1 onion, and the onions were cooked until soft and lightly caramelized. In this newer version, I’ve used 2 onions and sautéed them for a long time to deeply caramelize them, which gives a slightly sweeter flavor to the chopped liver. The other updates had to do with clarity of the steps, and of course I took new pictures. Hope that helps! Thanks for the quick response! Did the original recipe use 4 not 5 eggs? You write the best recipes Tori. The detail of the process, the description of what and how to do each step is comfortable and fun to read. Somehow you manage to blend kitchen tech language with the way kitchen talk happens on the fly. I’ll be using duck fat making the chopped liver for the table. You said it was permissible. Also, the photos and captions add more useful information. Thanks for the recipe. I’m so pleased you noticed. 🙂 I take a lot of care in writing the instructions, I always write them keeping in mind some are new to the kitchen. Clarity is key. Duck fat is more than permissible, it will be fantastic. Enjoy! I made this last year. It was good except I think I under-cooked my gribenes. And since then I decided that the deli CL I always bought probably didn’t have that. So a caution here: If you add gribenes, don’t under-cook it. I’m making this next week, without the gribenes. If you need some serious schmaltz, here is a way to to get every drop out of a chicken: Buy a big chicken, one of those “oven stuffer roasters”. Simmer it in a pot of water for about 45 minutes, until the meat is done. You can throw in some onions (skin on for color), carrots and celery too. Put EVERYTHING from the chicken bag into the stock EXCEPT the liver. All the giblets, the purge, everything. When the chicken is done, take it out of the pot, let it cool, then pick all the meat off the carcass. Put everything back in the pot except the meat, which you can do with as you wish. Simmer for 6-10 hours, until the spine and breast bones disappear. Crack the leg, thigh, and wing bones, which should be the only bones left and simmer that for awhile to get the marrow out. Run what’s left through a sieve with cheese cloth. You will have some amazing chicken stock. And about 4 ounces (1/2 cup or so) of schmaltz will rise to the top after you refrigerate it. If you render it down enough, the stock will be gelatinous and store well in your freezer. I’m not a big fan of boiled chicken, usually I’d rather grill it or roast it, but I learned about this when making a chicken and sausage gumbo recipe posted by a Cajun chef everyone knows. So if the chicken is going into soup or a gumbo or something like that then this works well and you get triple bonus points for squeezing every gram of schmaltz out of that chicken that died for you :). and it’s a great excuse to make gumbo! Most people making this will eat less than a half pound of chopped liver a year, which is about 2 tablespoons of chicken fat. I’m amazed at the people here treating that like arsenic. Notwithstanding all the controversy of food health, worst case, two tablespoons of chicken fat is not going to change your life expectancy. Get a life! Perfection! Just made this today, so good! It is perfect! So good, love! love! love! Thank you for your chopped chicken liver recipe. It contained detail and technique I had not considered. I noticed a couple of things with the ancillary information, the nutrition labeling. The serving size was not specified for the subject nutritional information. As the recipe states in the notes, a serving size is 1/4 cup. Unfortunately, the nutrition facts for my recipes are auto-calculated by a system that does not list B vitamin content. There may be nutrition calculators online that are more comprehensive. sometimes I add a touch of nutmeg while I chop the ingredients in a wooden chopping bowl. And, add about a TBS of brandy while cooking the livers. Amazon has a jar of schmaltz for sale. Not as good as the real thing but much better than oil. I really need to make this wonderful dish again. I used to prepare it a few times a year, once bringing it to Jewish friends’ party. Their uncle couldn’t stop eating it!